McAfee Free Virus Scan software is available for a 30-day time period and is your opportunity to review McAfee's flagship antivirus program before committing to buy. This is part 1 of a 4 part series providing you with information to make the best use of McAfee home user products and services. The article walks you through what the McAfee antivirus application is and what it does exactly to protect your computer. 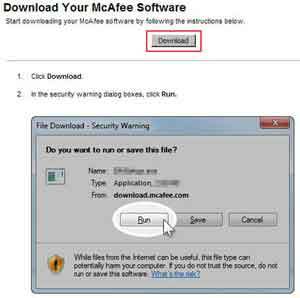 The article also shows you how to get the McAfee antivirus trial package. It also discuses why you should consider buying the product, some recommended setting changes and offers some things to think about if you prefer to go with a free anti virus application. Part 2 looks at free McAfee Computer Virus Remover tools. McAfee have several good security tools that home users may not be aware of including Stinger and GetSusp. Take a look to find out more. These tools enhance your computer protection and scan your PC for nasty viruses that are difficult to remove. Part 3 shows how to use the McAfee Removal Tool. Removing McAfee products causes lots of home users problems. This tool helps you to avoid this scenario. Alternative removal tools are worth exploring if proprietary programs such as McAfee's Removal Tool fail to work properly. Check out programs such as Revo Uninstaller and Mirekusoft Install Monitor. Part 4 looks at what McAfee Customer Service have to offer home users. This includes free utilities such as the Virtual Technician and the Security Scan Plus tools. Customer service advice on how to surf the Internet safely and how to contact McAfee directly is also provided in this section. Each part of this series is full of information I hope you find relevant and appropriate. Each section of this page is listed in the table of contents below. Is McAfee's product(s) any good? Would you recommend then to others? Don't keep your knowledge to yourself. Share it with the world by completing the form at the bottom of this page. Click here to see the opinions of other visitors to this page. 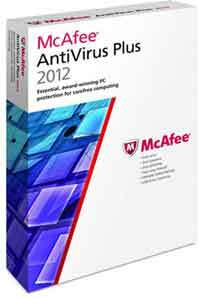 McAfee Antivirus Plus is a software program you install onto your machine to protect it from Viruses and other malicious programs that cause PC damage. Modern antivirus programs like this also protect your computer from other types of malware, including trojans, spyware and rootkits. See Remove Malware for more details on these types of malware. 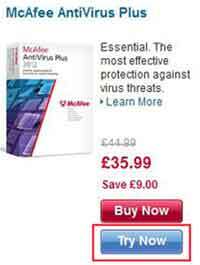 The McAfee product protects your computer from cyber criminals who hack your computer or con you with Phishing Scams e.g. an e-mail from your bank asking (phishing) for your login details. Banks NEVER ask for this information by e-mail! It also has a lot of additional tools such as a firewall, reportedly better than the firewall that comes with Microsoft Windows. For the McAfee Free Virus Scan product to work properly you need to have a computer bought in the last 2-4 years. This is because although the system requirements for the product given below are quite low by today's standards, they do not take into account everything else you have running on your machine. If you have only 512MB RAM in your computer, and run several other applications at the same time, most anti virus products will kill your PCs performance. For an excellent guide on what you should look for when considering an anti-virus package to scan your machine, and how you should use your program of choice, take a look at the Anti Virus Software guide (Opens New Window). The next part looks at what you need to do to get a copy of the trial version of the McAfee Free Virus Protection Program. The following guidelines are for the 2012 version. The current version, McAfee LiveSafe, takes broadly similar installation steps. Go to the Free McAfee Antivirus Download page (Opens New Window) and left click the Try Now button under the McAfee AntiVitus Plus heading. Sign up for a McAfee account if you do not already have one. Click the Download button once you have verified your account and logged back in. Click the I Agree button on the End User License Agreement and download your free trial. Follow the on-screen instructions to download and run your free trial software. The next section discusses some of the features and suggested changes to the default settings. A good feature you may have noticed when installing the McAfee Free Virus Scan program is it performs a scan your machine before installation begins. This is so it is not disrupted or blocked by any malware that could be lurking on your PC. The scan process is as follows. The tool downloads updated files to detect the latest viruses and other threats. When the updated files are applied, the program checks your computer for threats. Any threats identified are wiped from your computer. This ensures there are no issues with the program installation process. The McAfee Anti Virus program protects your PC in real time, whether you are on the Internet or opening documents. It updates itself with details of the latest threats at a time that will impact the performance of your PC the least. Changing the settings in the console is straightforward. After checking all of the default settings, there is only one I would change, and that is the scheduled scan. This setting, to some extent, is a personal choice. I wouldn't have my computer switched on at 04:00 every Wednesday. Therefore I would change it to something like 18:00 every Monday. 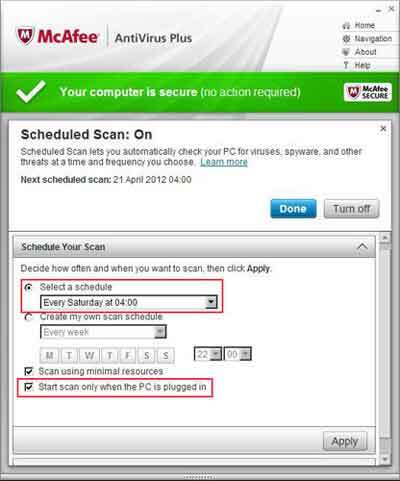 On my Laptop, I would tick the box to Start Scan Only When The PC Is Plugged In. This means the scan will not drain my laptop battery if it is not plugged into the mains. Another feature to mention is the SiteAdvisor. It rates each web site you visit so you can decide whether there is a risk to your computer or not. Is this better than the Internet Explorer Smart Screen? Take a look at the Internet Explorer Software page and decide for yourself. What are your thoughts on the McAfee Free Virus Scan program? After a couple of weeks using it would you pay for it? Drop it for another commercial product? Or go with a Free Antivirus Program? The main difference I find between most products you pay for and the free versions is the time it takes for a virus definition update to be issued. There are a lot of what is known as Zero Day Attacks. This basically means a malware or virus writer has discovered a new hole or vulnerability in an application or operating system that no one else is aware of. Therefore, Microsoft and other software Companies are not in a position to issue a quick fix, which means cyber criminals can exploit this to their advantage. Antivirus Companies are also in the race against time to issue a fix to remove the offending malware, minimising the damage it can cause. In my experience this update to the antivirus program tends to take longer with free versions, compared with commercial versions. My thoughts are you should look mostly at your web surfing habits before making a decision. If your children use social media, download music, free games or programs for mobile phones etc., then you are potentially at more risk than someone who does a bit of web surfing and online banking. For example, if your child had this pop-up appear on your computer, would they know not to click the Next button, and potentially infecting your computer with a zero day virus? Personally, I fall in to the latter category. I am quite happy using a free antivirus product such as the AVG Free Virus Software. I think the free McAfee antivirus product reviewed in this article is OK. If the surfing habits of my family changed, I would consider buying it. Is this down to the quality of the product? Is it down to the state of people's computers when they install? At the end of the day, the choice is yours. Time to take a look at part 2 of this tutorial series, McAfee Computer Virus Remover, which explores McAfee's free security tools. If you want to read more about how to protect your children from spyware, take a look at this PC Pitstop article (Opens New Window). 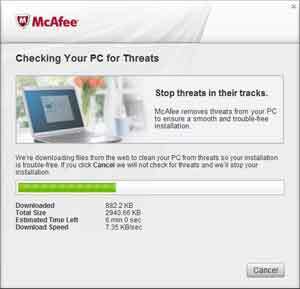 What do you think of the McAfee Anti-Virus program? Any good? Is it bad? Do you prefer another anti-virus product? Which one and why? Have you used or would you consider a free anti virus program? Enter Your Title e.g. "Avoid - Use Kasperksy Instead!" Your point of view will appear on a Web page exactly the way you enter it here. You can wrap a word in square brackets to make it appear bold. For example [my story] would show as my story on the Web page containing your story.